I have, unfortunately, a requirement to model a Reef Knot (or Square Knot, as you might know it) again. In the past, I have made a couple of wiggly curves orthogonal to each other and intersected them and run a VSS along them to create each half loop. A few mirrors and you have a passable looking knot. It takes a lot of tweaking and fiddling to get it looking presentable, though. Then there was the added complication that I was required to model a Slip-Reef Knot - one with a loop on one side that you could pull to undo the knot, a bit like a shoelace. Is there an equation (or equations) to define such a knot? The nice thing about the equation approach would be that it took less work to make it look good and it would also scale nicely. That way, it would be done once and for all and I wouldn't have to repeat all the tweaking every time. I'm sure someone out there has sorted this out. It doesn't look like anything useful for modeling, though the topology is OK.
Fun problem. It should be just a matter of parameterizing the knot and plugging the equations into a datum curve by equation. 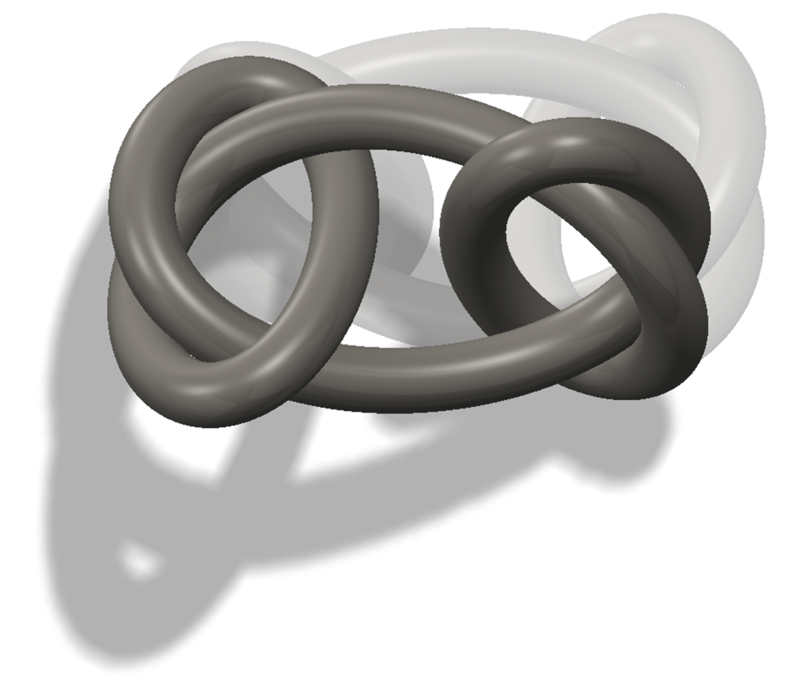 That being said, I have no idea how one might go about parameterizing a knot. The guy who made this website does. He has parametric equations for a granny knot which is similar to a reef knot. Maybe you can tweak these equations to form a reef knot. I might work on this later. Search for "Instructional Knot Tying Animations (Blender)" and view in wonder. No doubt it's not trivial work, but still amazing. Done by "curve by equation" I take it? Frank, yes curve by equation. It's not a big thing, I think I just had more successful google searching.